What is best way to decide which type of hardwood is right for me? The first aspect to consider is the surface or area where you will be installing the wood floor. For example, a basement level versus a main floor, a concrete surface versus plywood, or low-traffic versus high-traffic areas all require different considerations. 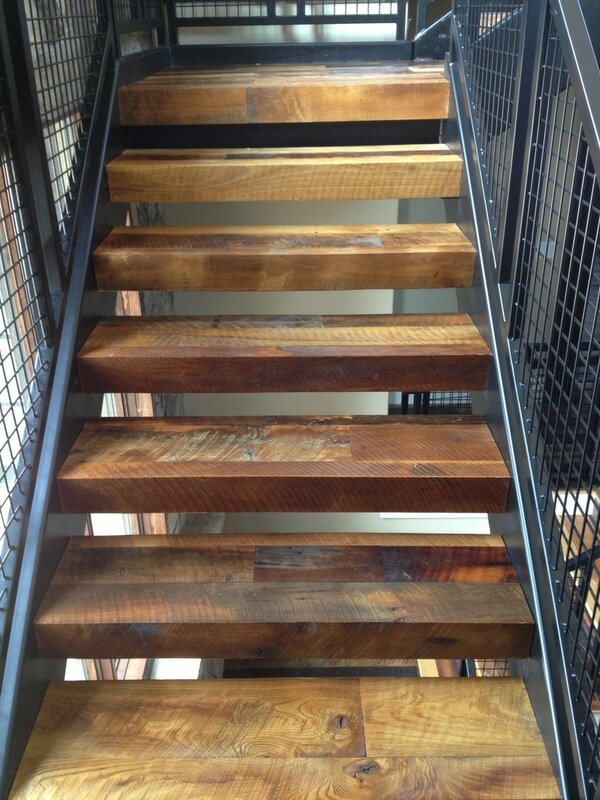 Additionally, different types of wood are available to meet your preferred look and feel of the floor. What is pre-finished hard wood flooring? There are two types of hardwood flooring: engineered or solid. Engineered flooring is made of several layers of wood pressed together with a finish applied to the top layer. Engineered floors are very stable: they do not contract or expand greatly depending on fluctuations in the temperature or moisture levels. 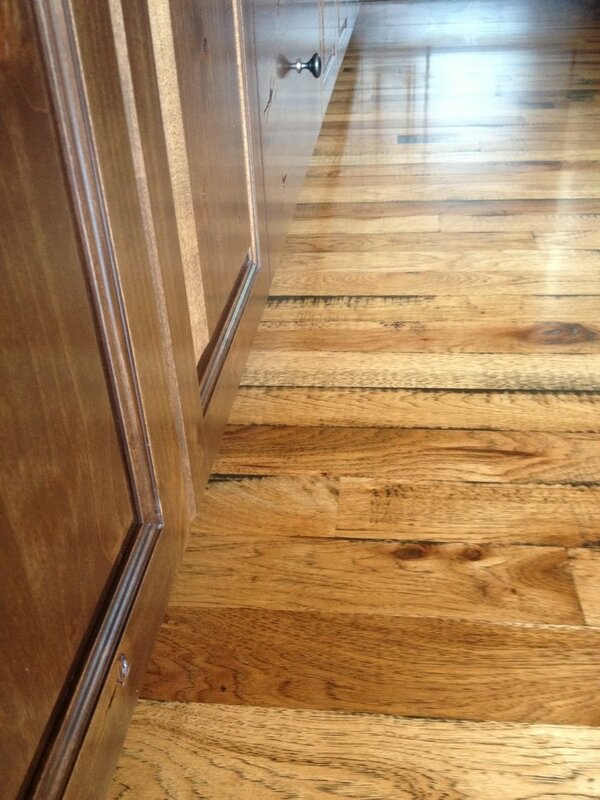 Engineered floors are stained and finished before they are installed so you may walk on the floors right away. This type of flooring is recommended for basement level (below grade). 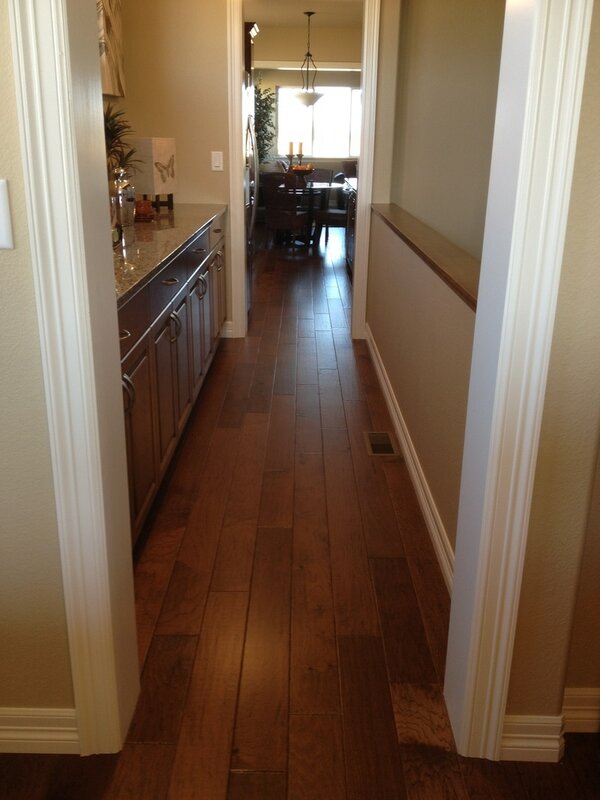 Solid wood floor planks are made of one piece of wood all the way through. It will shrink and contract a bit more depending on temperature or moisture level variations. Laminate flooring has a wood composite base with a faux grain applied to the top layer. A finish is then applied over the top. Historically, laminate flooring has been considered a low-end option in wood flooring. However, it has grown in appeal in the last several years due to several significant improvements. Laminate is now available in a variety of options including, hand-scraped, wide plank, and distressed appearance. This is a great choice if you are looking for a beautiful and durable floor at an affordable price. What is the difference between pre-finished and unfinished flooring? Prefinished flooring has the stain and finish applied to each board before it is installed. This means that you may walk on the floor as soon as it is installed and do not need to wait for the floor’s stain or finish to dry. This is a good option if you are not able to stay off of the floor for an extended period of time. Unfinished wood flooring is installed in its raw or natural state. 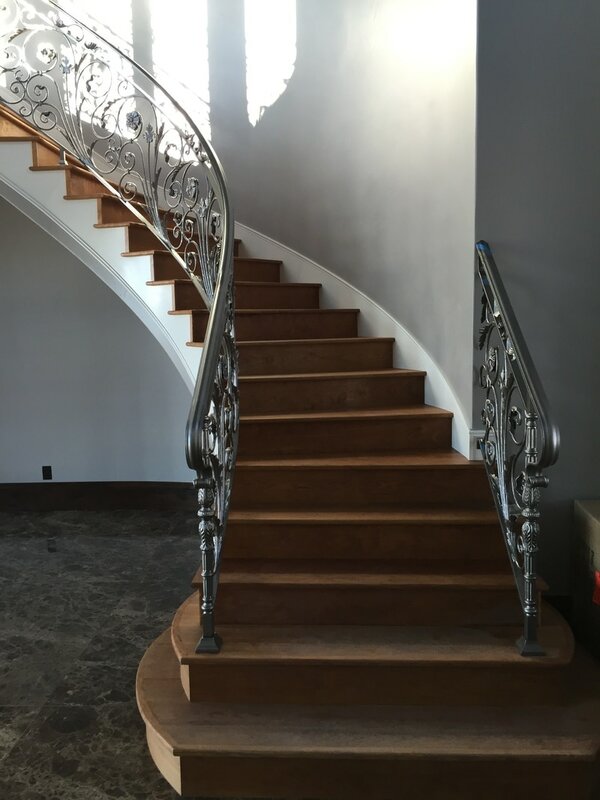 Once it is installed, it is sanded, stained and then topped off with three coats of either a water-based or oil-based finish. What is the difference between a water-based and an oil-based finish? There are two primary differences between water-based and oil-based finishes: dry time and color. The dry time for a water-based finish is four to six hours while an oil-based finish is ten to twelve hours. Generally, three coats of finish are applied so the finish type will determine how many days you will be unable to walk on the floor. With regard to color, a water-base finish is completely clear and maintains the true color of the wood. An oil-base finish has a slight yellow tint which enhances the color of the wood, meaning it brings out more of the grain with each layer applied. What do I need to understand about hardwood flooring and pets? One of the benefits of hardwood floors is that it helps create an environment that minimizes the effect of pet dander and dust. The wear and tear on the floor depends on the size and activity level of your pet. However, you always have the option of re-sanding the floor periodically which can make it look brand new. How often do I need to refinish my floors? On average every four to seven years but this is also dependent upon the amount of regular traffic on the floor. What is the difference between a screen and re-coat and refinishing/re-sanding a floor? During a screen and re-coat the floor is lightly buffed and the one coat of either a water-based or oil-based finish is applied. This smooths out most surface scratches. During a re-sanding and refinishing the floor is sanded down to the bare wood and a new finish and three coats of finish are applied. ​​What if I have an existing wood floor that I want to extend? We frequently add new flooring to existing flooring to expand the wood surface. First, new wood, of the same type, is laced in into existing flooring. Next the floor is sanded in its entirety and then stained and finished. 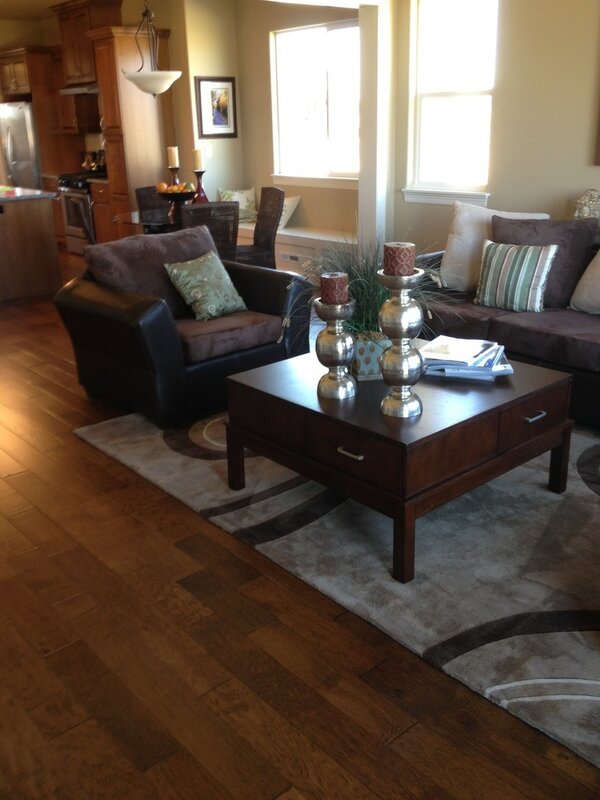 Color matching enables us to ensure that your new floors match the existing wood in your home. What if I have just a few boards that need to be replaced? We are very skilled in board removal. 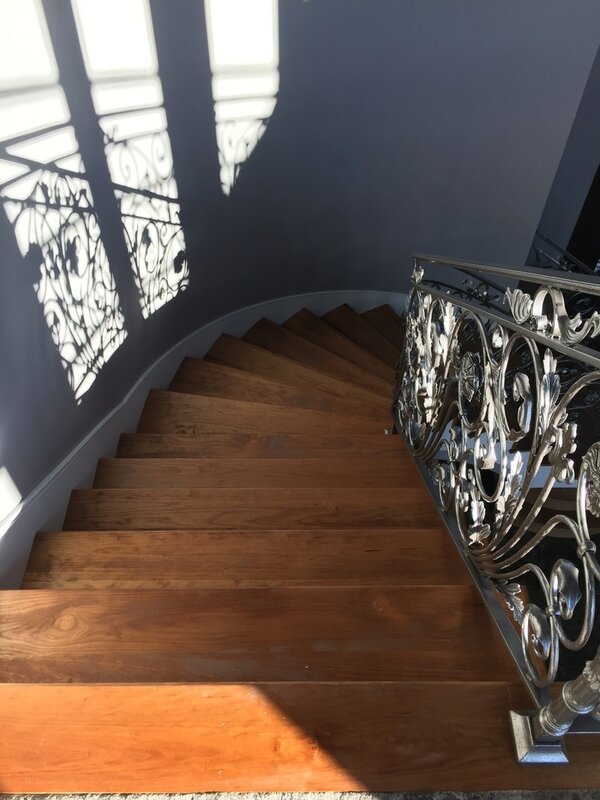 We make every effort to match the wood species, stain and finish but as with all wood products, there may be a slight variation based on the nature of the grain and the age of the existing wood. How long do I need to be off of the floors after the finish has been applied? As referenced above, the dry time for water-based and oil-based varies. In total, you will need to remain off of a water-based finish for approximately two to four days, depending on the size of the floor. You will need to remain off an oil-based finish for approximately five days. I’ve heard that sanding a floor can create a great deal of dust. Is this true? Yes, however we use very effective dust containment systems which capture approximately 90% of the dust. Most homes require just a slight dusting at the completion of the floor installation. Generally, plastic sheeting is not required to contain the dust however in cases of extreme allergies, we are happy to partner with a company that specializes in dust and odor containment. Should I expect color changes in my hardwood flooring after it has been installed? Yes. Your floor will slightly darken in indirect sunlight and may lighten in direct sunlight. Rugs and furniture could cause color variations on the floor depending on the amount of light. If this is a concern we recommend that you rotate furniture and rugs around and perhaps limit direct sunlight. Can I install hardwood in a basement? Yes, we can either glue down the wood or utilize a floating system. What is the best way to care for hardwood floors? The best thing you can do for your hardwood floors is to keep it free of dust and dirt, which if left on the floor can cause an accumulation of small scratches. Regular sweeping is the easiest way to accomplish this. A cleaning product specially formulated for your floor is included with the installation of your floor and with regular use, it will help your floor look beautiful for years to come. How can I minimize the wear and tear on my floor? Some wear and tear should be expected; it is flooring after all. However, you may reduce the wear and tear by placing rugs in high traffic areas and sweeping regularly. Is wood flooring environmentally friendly? We use sustainable hardwood products which have been harvested using a specific method so the wood resource is not depleted or permanently damaged.